Looks like I've got some work to do... Thanks for reporting, Blatoy! Thanks for reporting! Looking into these issues right now. How do you do this? I just tried in the beta and when I edit a map that's not in a mod I can't open the particle editor. The top left of the screen says "Particle editor disabled: map not part of a mod." I can't seem to reproduce this one, but in any case setting negative values there makes no sense so I've just limited them to not be able to do that anymore. minor, but "toggle visuals that show current selection" turns it self on whenever you enter/exit map editor mode. The snapping system is mostly intended and used for gameplay objects, especially Obstacles. The pixel size snapping on Texture object is not an automatic thing: it only happens when you click that snap button. The point with 0.200001 instead of 0.2 is that under the hood computers never store decimal numbers precisely. A computer generally won't store 0.2 and will instead store something near (like 0.2000001 or 0.199999). Usually tools and editors hide this from the user and pretend it's 0.2. That pretense is the only thing that's lacking here in the Ronitech I think, unless I'm misunderstanding you. And yes, I can totally get why 0.2000001 irks you. I've encountered a bug that crashes the game every time I load my map, I've been able to load it by editing the XML and disabling "allowProceduralLevelArt". 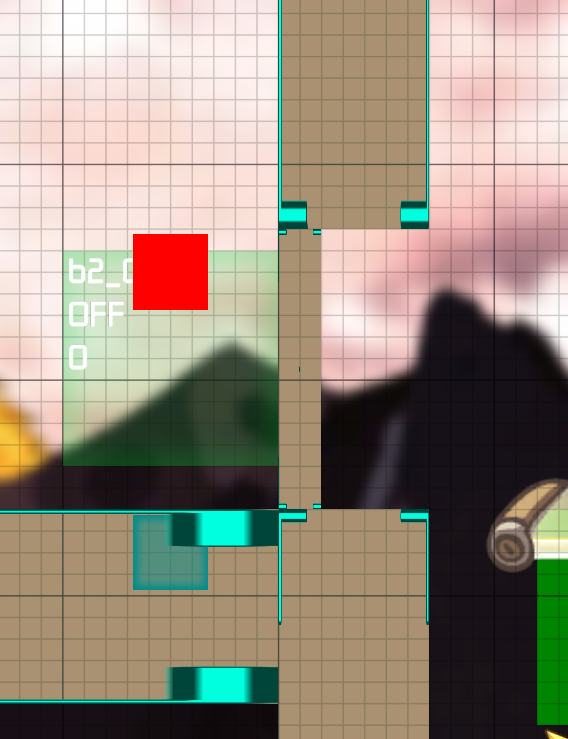 This obstacle is causing the issue: https://i.imgur.com/TFXCYQ5.png if I move the small part somewhere else it does work as intended. I tried to replicate the bug in an empty map by recreating what I sent but it doesn't always crash. If it doesn't crash moving the small obstacle around and putting it in place again may trigger it. 2017-11-04 Sat 19:51:06 6064 DynamicTextureStreamer deletes texture needing rendering "CH_BLINKER001_0"
2017-11-04 Sat 19:51:13 6098 ERROR: PLAPolygonEdge::getNextEdge is called from an edge that is nullptr. 2017-11-04 Sat 19:51:13 6099 ERROR: Tried to count circulair configuration of PolygonEdges, but PolygonEdges are not circulair. 2017-11-04 Sat 19:51:13 6100 ERROR: Found a polygon borderEdge that is not cirulair while composing collision check list. returning.